Description: The beast burger is packed with protein and features the beyond nutrient blend, which aids in muscle recovery. The unique blend is loaded with antioxidants, iron, calcium, vitamins B6, B12, D, potassium, DHA and ALA Omega-3’s. 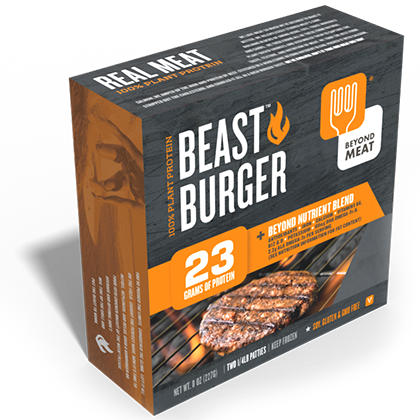 The beast burger is soy-free, gluten-free and non-GMO. Sounds like a pun to me Danny! LOVE all of BM’s products! Die-hard here! Awesome! Thank you for sharing your enthusiasm with us Stacey Ann!